The world’s strongest bathtub liner. All bathtub liner systems are far from created equal. Making an outdated bathroom look like a million bucks has never been so easy or affordable thanks to the new DuraCast bathtub and wall system from BathCrest. Only BathCrest liners are made from non-porous DuraCast XL Crosslinked Acrylic. Our acrylic liners won’t mold, won’t mildew, and with a 100% non-porous surface, there is no place for dirt and germs to hide. Stronger, thicker Acrylic. Relax and enjoy that nice, l-o-n-g, soothing bath! Because only BathCrest manufactures tub liners and wall inserts using acrylic that is 400% stronger and 300% thicker than the industry standard, your bath will stay warm, longer and your tub will last you a lifetime. Measurably more beautiful. 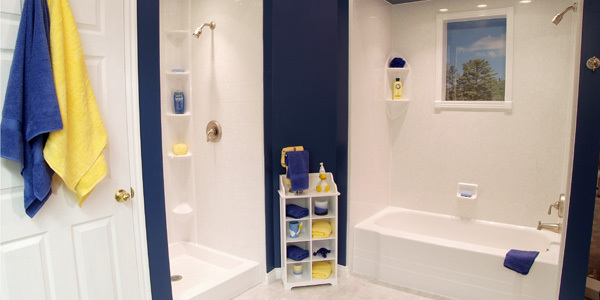 Only BathCrest uses DuraCast Acrylic. That’s what gives us a measurable, 12% greater shine than the competition. That shine reflects the quality of our BathCrest bathtub and wall systems.